The Paris Motor show is going on now. The usual car unveilings are a given, but also the shows are becoming a place for automakers to showcase and release exciting new tech. 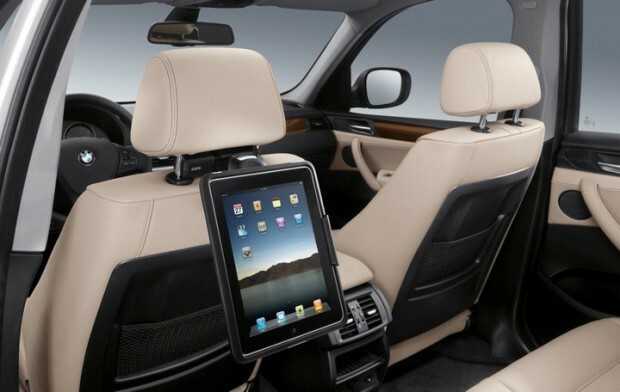 Take BMW, for example: they are known around the globe for making the “ultimate driving machines.” Now, they are entering the realm of being the ultimate connectivity machines. Right now, we are witnessing a convergence in the way we run and drive our lives. We want to be connected at all times—to anything—so long as we are stimulated. For car companies, that means giving the people what they want. And what is that? Well we don’t want any more half-baked attempts at a third-party interface, no more reinventing the wheel with the interface. Instead, how about a continued consistent look pulled straight from things we’re already accustomed to. I use an iPhone; I like the interface; why can’t my car’s display duplicate that? Apple isn’t getting into the car business anytime soon. Since the automakers are still lost, Apple has gone ahead and built a feature into iOS4 called iPod out, practically giving the people what they want — now automakers just need to accept the loss and go for the win. BMW doesn’t want to make you learn another interface, because they know you really don’t want to. Remember, they were one of the original OEMs to support the iPod. What’s cool about this is that finally we can expect the same experience in our car that we do from our phone. You can do it by connecting though the dock connector or better yet, Bluetooth — all navigated from the already in-car iDrive controller. 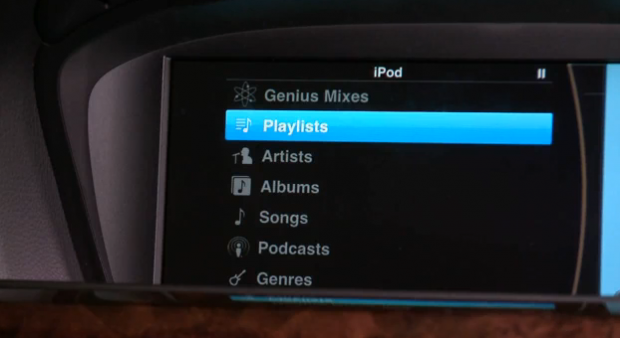 The interface is Apple’s own, though it’s controlled from iDrive. Expect it to be similar to Front Row and to include album art. For those with older iDrive systems, sadly there will be no upgrade. iPhone 3G, 3GS and 4 and the second and third generation iPod Touches will be supported through the system. This is a really exciting turn towards a consistent interface among all cars, hopefully more automakers will wake up and drive the Apple Kool-Aid. Note to automakers: We want to leave both our key and phone in our pocket upon entering the car. The key should open the car without the need for buttons and the phone should connect to the infotainment system with no cables. That is all we ask, it’s not that hard.